There’s a lot to look forward to as the ice melts, but also some important things to remember. Below, tips on how to keep your home dry as winter melts into spring. Whether it’s from melted snow or broken pipes, not all policies guard against unexpected leaks, and those leaks can mean expensive repairs. Excess moisture in the home relates in part to outside humidity, but temperature and other factors play a role. Learn more about balancing your home’s moisture here. In addition to water damage, the presence of mold can create health risks, including allergic and respiratory issues. Prevent damage while you are away. Some of the most common water damage issues occur while owners are away. Make sure you shut off the main valve, check your gutters and follow a few other key steps. Taking these simple steps can help avoid costly water damage. Avoid pointing sprinklers or hoses toward the house to keep water from seeping in at the foundation. Check for leaks around windows and doors, especially corners. Check your roof. Leaks are particularly common around chimneys, plumbing vents and attic vents. Check for leaking faucets, dripping or “sweating” pipes, clogged drains, and faulty water drainage systems. Act quickly – if a pipe bursts, turn off the water. Something that often surprises new homeowners is the cost of home maintenance and repairs. But the investment (both time and dollars) of routine home maintenance is minimal, compared to the cost of replacing a heating system, gutters or roof. Professional home appraisers estimate that a neglected home can lose 10 percent of its appraised value. Appraisers determine depreciation (the rate at which a house is losing value) based on the home’s economic age (the number of years the home is expected to survive). According to the U.S. Census, the annual cost of home maintenance costs average more than $3,300. Lending institutions estimate 1 to 3 percent of the price of the home, which means $2,000 to $6,000 annually for a $200,000 property. Your budget should increase as your home ages. Think of your home like your body. If you treat it with preventive medicine and regular check-ups, there’s a good chance you will offset problems, or at least, catch them when they are small and manageable. Researchers at Syracuse University suggest that maintenance actually increases the value of your home of about 1 percent each year – similar to how wellness activities help improve your biological age. An easy way to be prepared is to create a “reserve for replacements” – cash to be used strictly for home repairs and maintenance. Experts also advise regular inspections to get a jump on potential problems. Tackling one room a year is a good way to manage home upkeep. It’s also a smart idea to keep a notebook of all repairs and upgrades that can be shared with potential buyers. 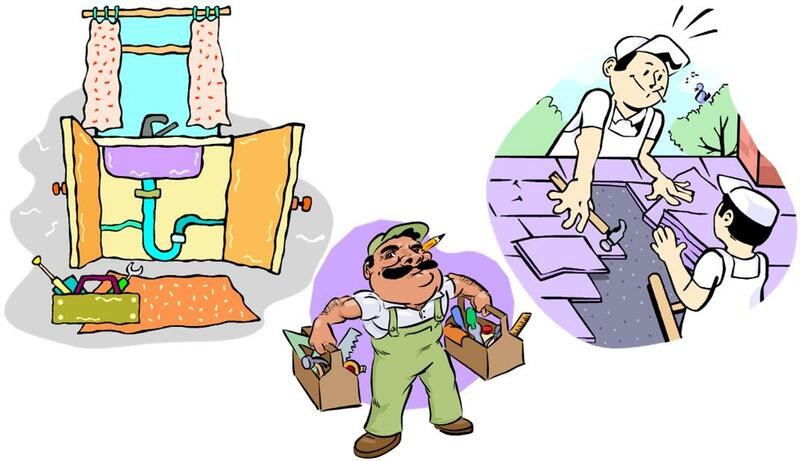 Allen Tate Home Services is a great resource to help with home maintenance and repairs. It would be our pleasure to introduce you.